As a college student, these exams are terrible because 1. 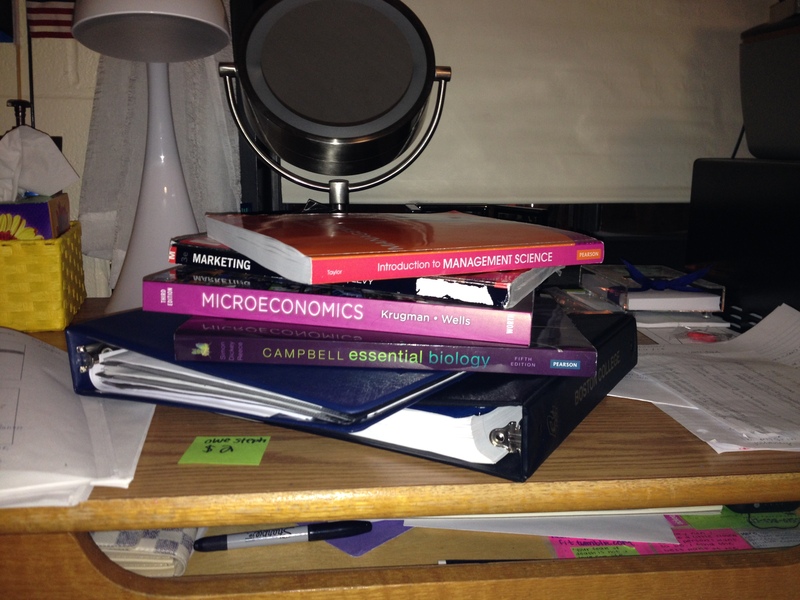 Unlike finals, you have to study for midterms on top of keeping up with your regular schoolwork 2. All your midterms happen to fall within one particular week and 3. It’s impossible to find time to train! All I can think about is absorption vs. variable cost allocation, “the process a consumer partakes in when considering which product to buy,” and linear programming. It’s hard for me to make time to work out when I’m already scrambling to find time to sleep. Thankfully, I discovered a remedy to this issue! Immediately after your test, your brain is slightly fried and you’re not really in the mood to get into “study mode” again for the next exam. This is the perfect time to hit the gym (or the pavement). This gives you some time to regroup while fitting some cardio in as well. After sweating, followed by a shower and some food, you will be ready (hopefully) to tackle the next subject. Good luck to all our YoungTri college students in the middle of midterms and our member who are just super busy! Spring break is looming in the horizon.